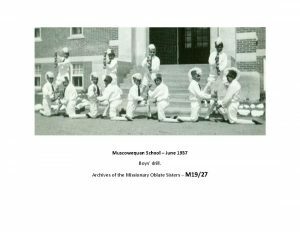 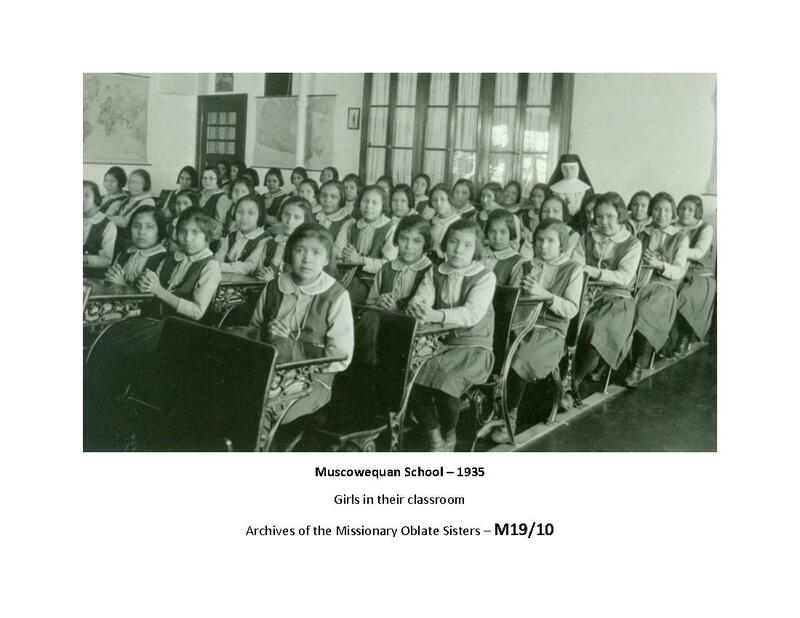 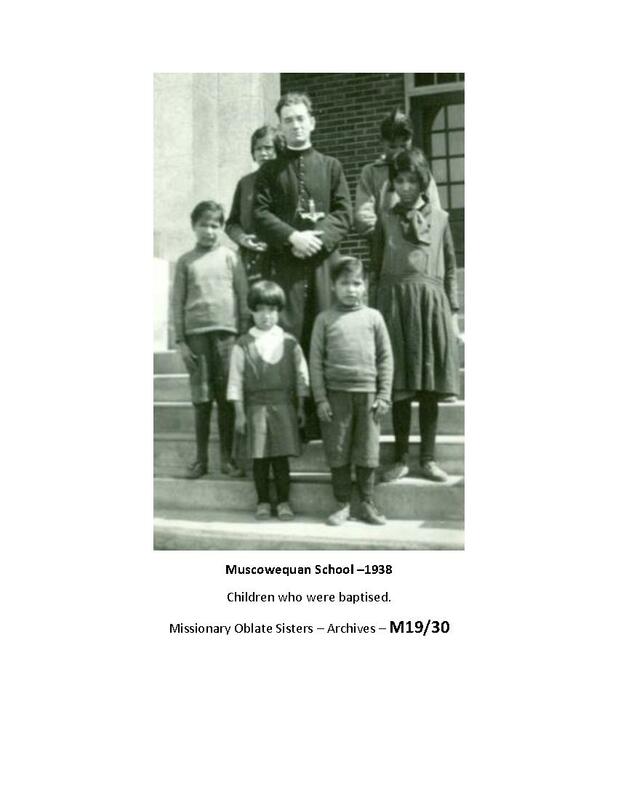 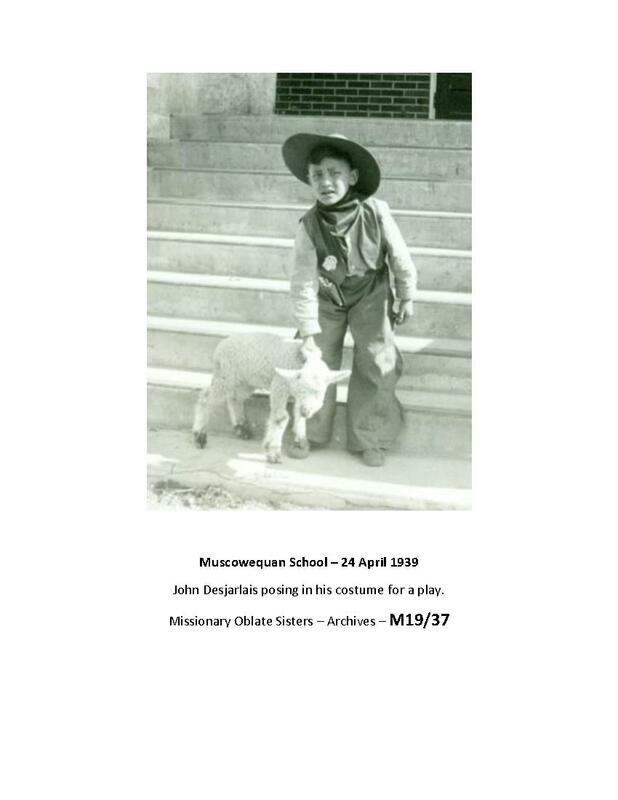 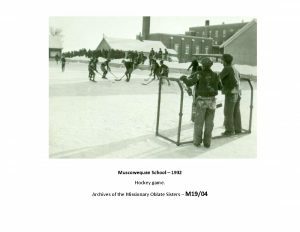 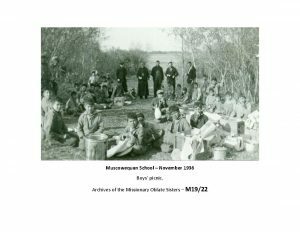 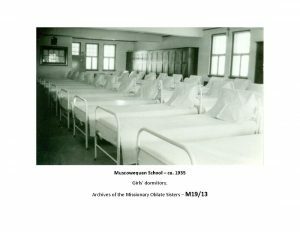 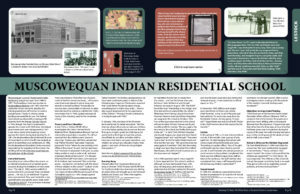 Muscowequan (Lestock, Touchwood) Indian Residential School was open from 1889 to 1997. 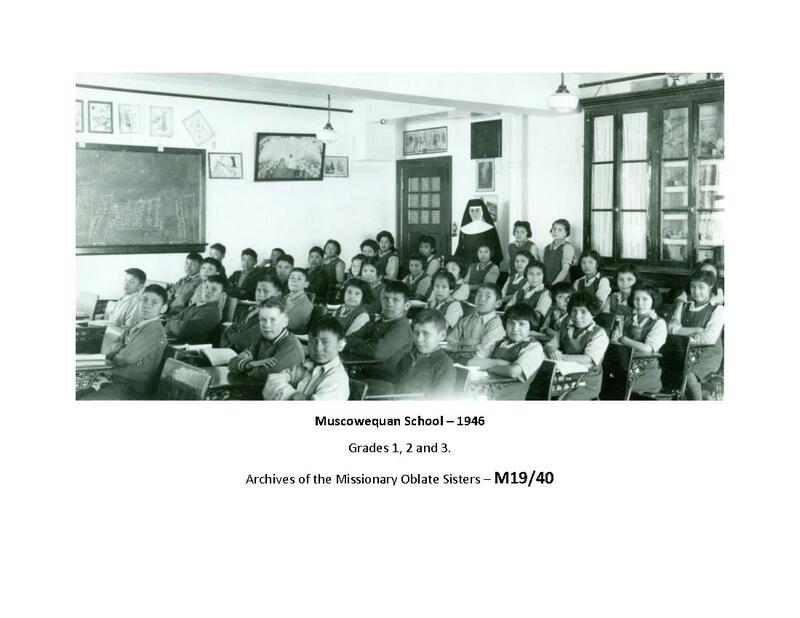 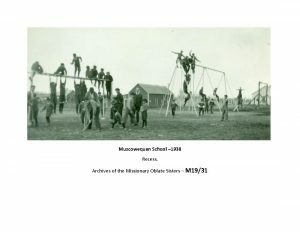 The boarding school was located on Muskowekwan Reserve until 1895 when the residential school was built, aided by the federal government, off-reserve in Lestock, Saskatchewan (Treaty 4), where a stone building was available for use. 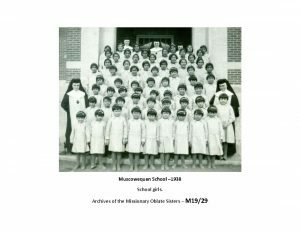 The Federal Government purchased Muscowequan IRS property from the Roman Catholic Church in 1924, though the church continued to operate the school until 1969 when the federal government took over management. 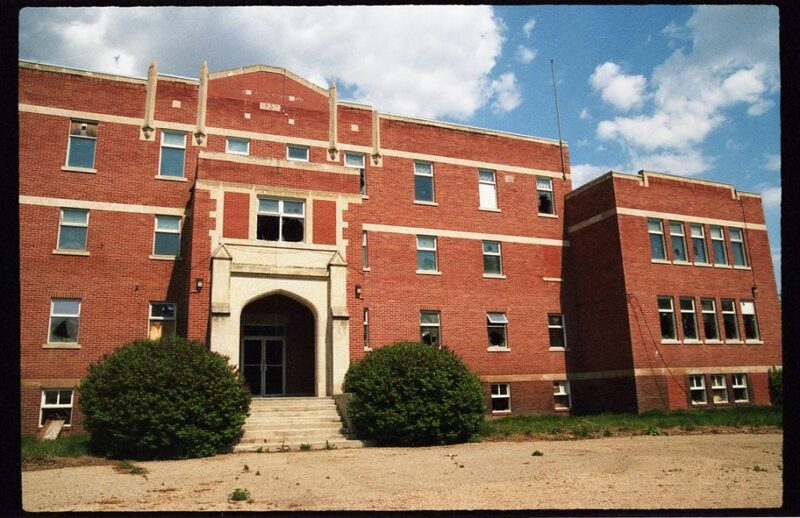 In 1931 a new three-storey brick boarding school opened, the former being destroyed by fire. 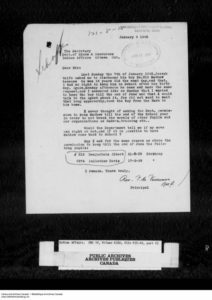 In 1981, the Muskowekwan Band claimed 28 acres of Crown land on which the IRS was located, as part of its unfulfilled land entitlement. 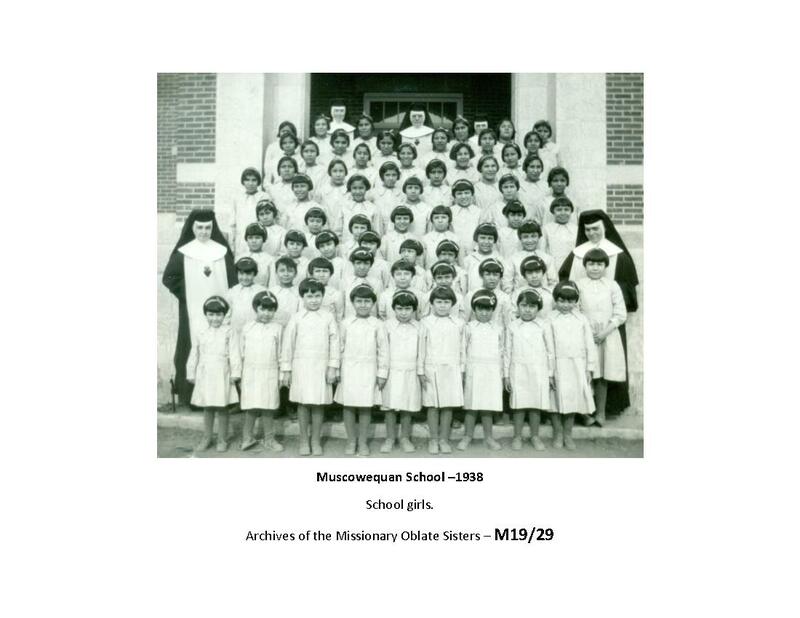 In 1982, the Muskowekwan Education Centre assumed responsibility for operation of the school. 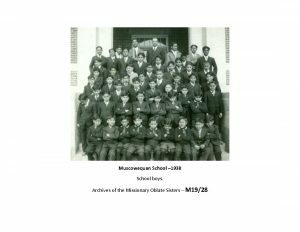 The building still stands (The front cover features the back door of the school). 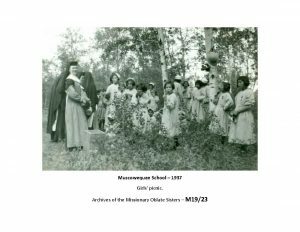 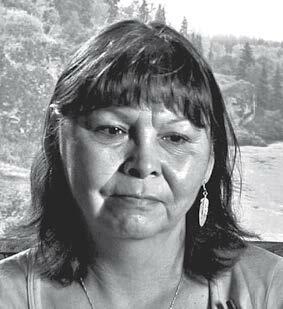 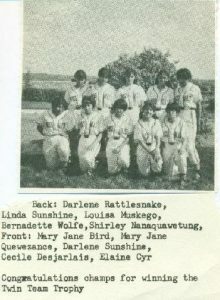 The day she left for the Lestock, Saskatchewan, school, Marlene Kayseas’s parents drove her into the town of Wadena. 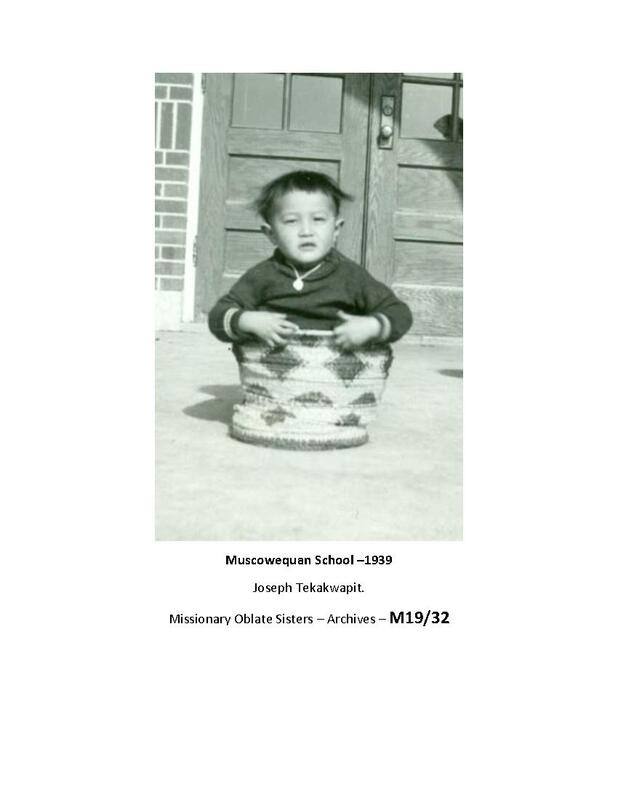 “Residential school affects how you see the world. 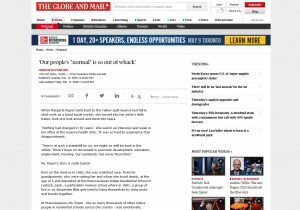 I can’t fit into the public anymore, I don’t feel like a normal person. … I don’t even notice myself teaching my kids to be afraid of authority. 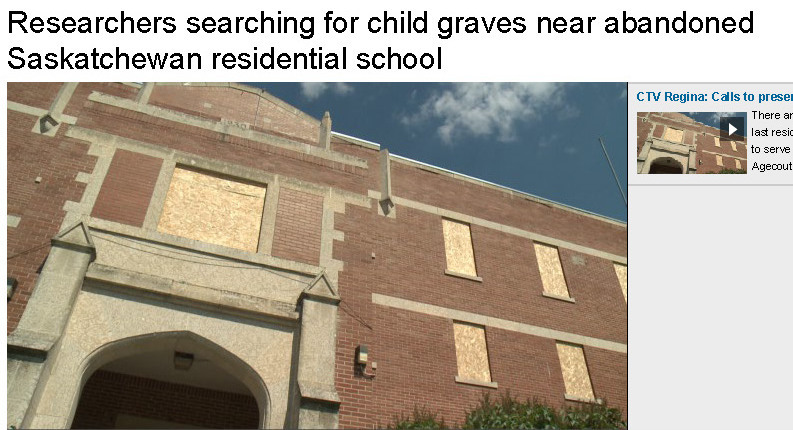 But it’s made me such a negative person. 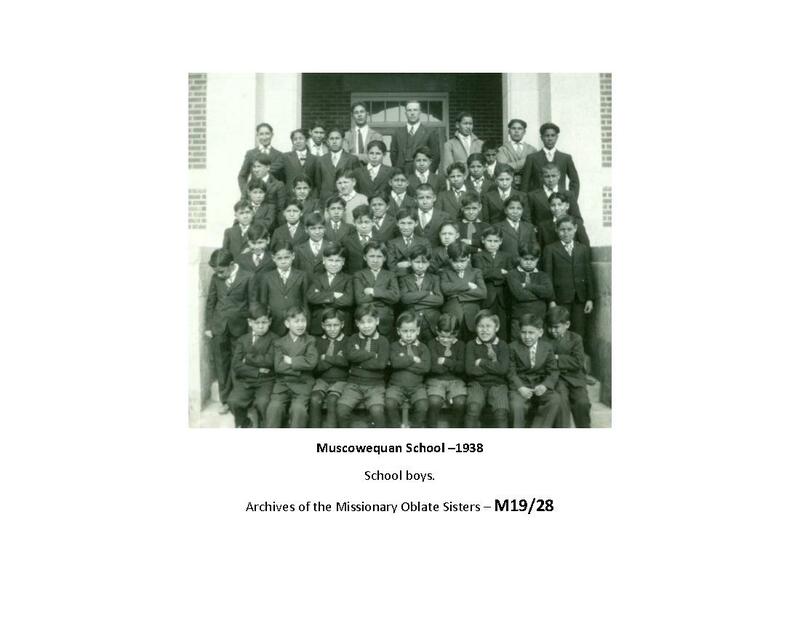 It changes everything. 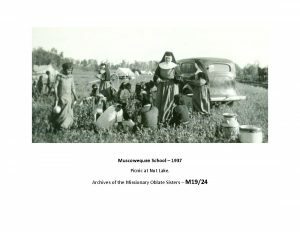 we were Metis ancestry, you know. 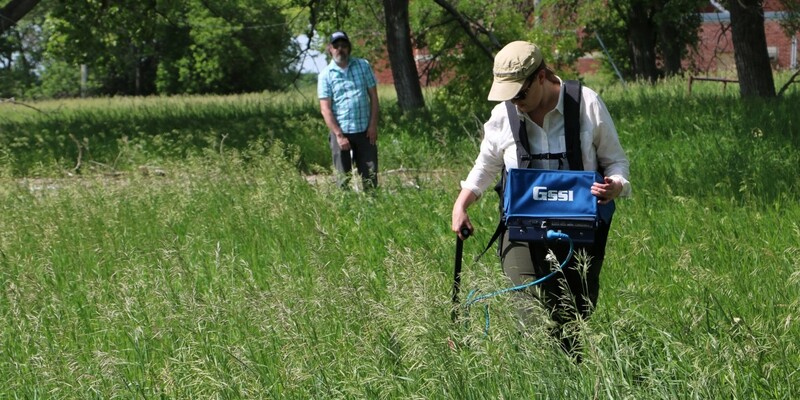 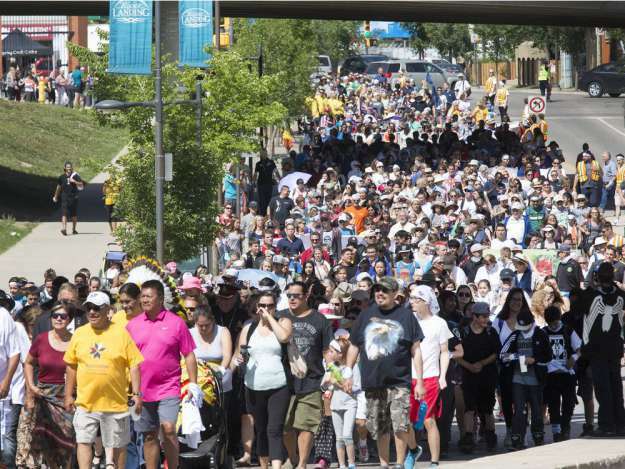 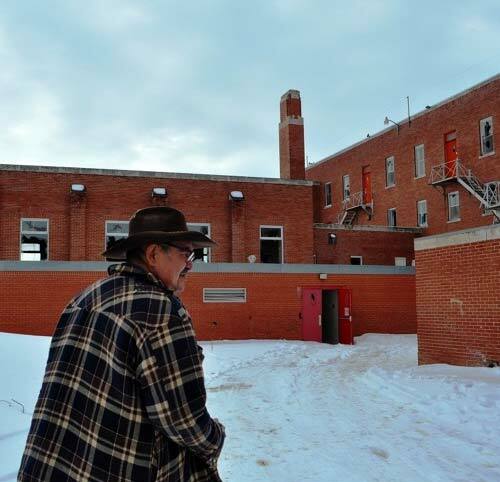 “We cannot forget our past”: Survivor returns to Saskatchewan residential school.